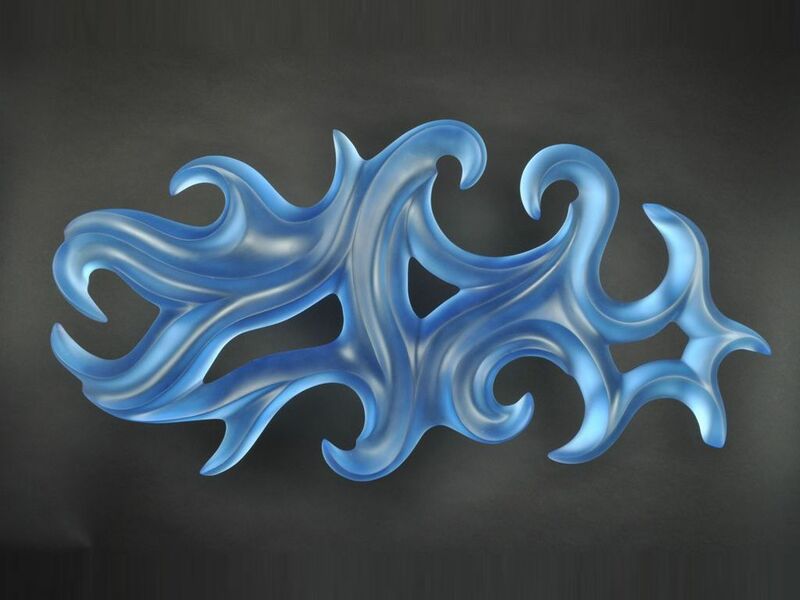 In the emerging stages, my first cast glass wall sculpture was a whole new process for me. In wood, a wall sculpture was a familiar and enjoyable form. Yet, at first, it felt “weird” in wax (which, as you know, is my sculpting medium for glass). I found I was doubling back on my learning curve. 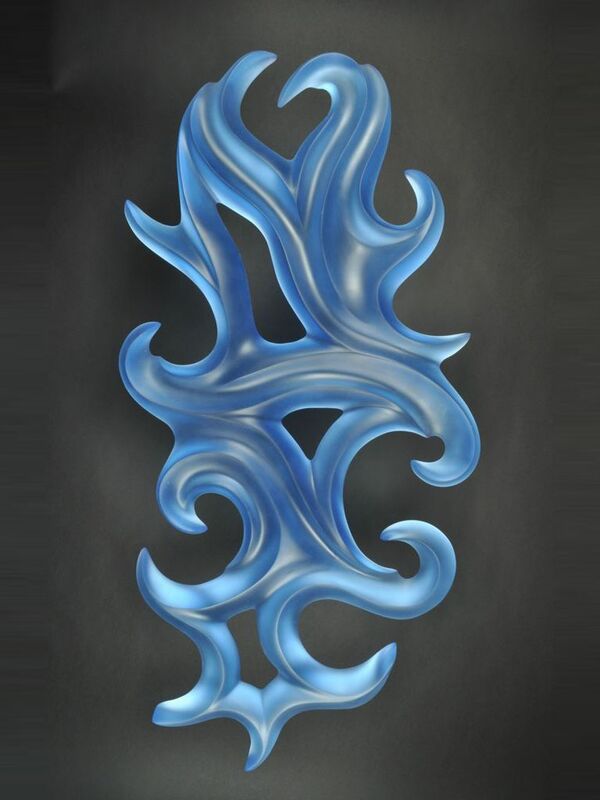 I had gotten accustomed to pure design in my previous 28 three-dimensional glass sculptures…and I had not missed the “missing” wood grain. But, with this piece, I had to become acclimated all over again, because there seemed now to be no point of beginning. I think approaching the poured wax as a flat slab versus a cylindrical form had something to do with my feeling of unfamiliarity. But, whatever the reason, this was the first time I had missed “partnering” with the wood grain in creating a piece. Plus, I felt I needed to start with a more completed design sketch. That was a real challenge since, as you may know, I don’t draw and have never been able to sketch my sculptures-in-the-round. I also seemed to miss my wood working tools very much. With them it was much easier to remove the “waste material.” I also missed the ability to use wood rasps for smoothing surfaces – especially in the area of the deep-V cuts. At first, I really thought this entire first-stage wax sculpting process for a wall hanging would require less time than my sculptures in-the-round. That turned out not to be the case – not at all. Then, the foundry kiln casting process was so totally different that, for the first time, I got very involved in it as well because I wanted to learn about it. Learn with me, if you’d like; I’ve recorded the foundry process in detail and photos here.